The FMLA also has an antiretaliation provision. Employers cannot fire employees for requesting or taking FMLA leave. Knowing these provisions puts employers in a potentially difficult situation when faced with the need to terminate an employee who happens to also be on FMLA leave or who has recently returned from it. Generally speaking, however, an employer can still terminate an employee, even while he or she is on leave or just returned, as long as the rationale for the termination was completely unrelated to the FMLA leave. It cannot be done for a retaliatory purpose, and it cannot be done with the intent of keeping others from taking such leave. 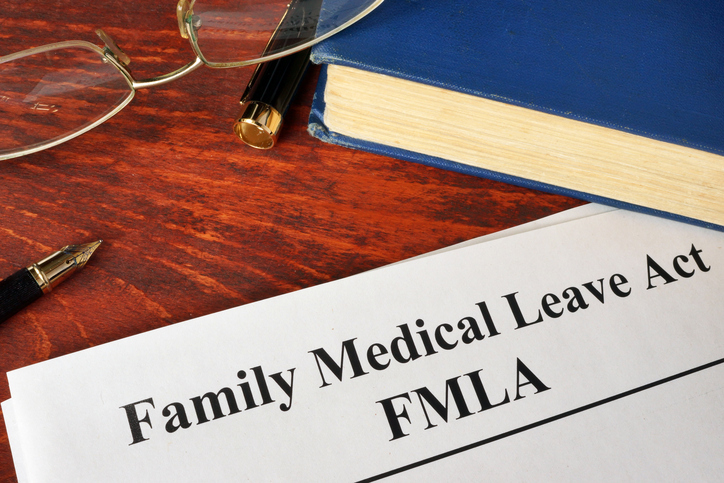 It’s a situation that should be handled delicately and carefully to avoid the perception that it is related to the FMLA leave at all. When Can an Employer Terminate Someone on FMLA Leave? If the employee already meets the same requirements that would have resulted in termination before the leave, the termination can proceed. Examples include documented poor performance, disciplinary problems, fraud, noncompliance with job requirements, misconduct, etc. Note, however, that the problems should have been documented before the leave began, if they were known. If the employee is subject to being laid off or downsized and would have been subject to such regardless of whether he or she was taking a leave of absence, the employer can proceed as planned. When Should Employers be Cautious? Although it’s possible to terminate employees even when on leave, there are some situations that may raise suspicions that the termination was retaliatory, inappropriate, or intended to dissuade others from taking FMLA leave. Firing an employee for having too many absences is risky, especially if it is now known the employee has an FMLA-qualifying reason to be on leave. Before proceeding, it should be assessed whether any of the previous absences should have been attributed to FMLA. If this situation arises, it may also warrant additional training for supervisors to recognize when leave requests may be FMLA-eligible. –Also be aware that extra absences may be requested as a form of reasonable accommodation if the individual has a disability. Consider the entire situation before proceeding. Be careful not to imply that a termination decision was in any way affected by the leave of absence. Offhand comments (“On top of everything else, now Joe is on leave, and we can’t count on him anymore!”) can make other employees feel as though they should not take FMLA leave. These situations could appear to interfere with the employees’ ability to take such leave. This is one area where supervisor training is critical. Be wary if termination discussions had not yet started before an employee took leave. While this may be okay in some limited instances, such as when problems come to light while the employee is away, it can make it more difficult to prove that the leave had no bearing on the decision if the termination was not even under discussion before the employee took leave but was completed while he or she was away. In short, as long as the reason for the termination can demonstrably be shown to be nondiscriminatory and unrelated to taking FMLA, the employer likely can proceed. But these scenarios are best reviewed with employment counsel and handled carefully. Documentation of the facts is always critical in terminations but perhaps especially so in these cases.